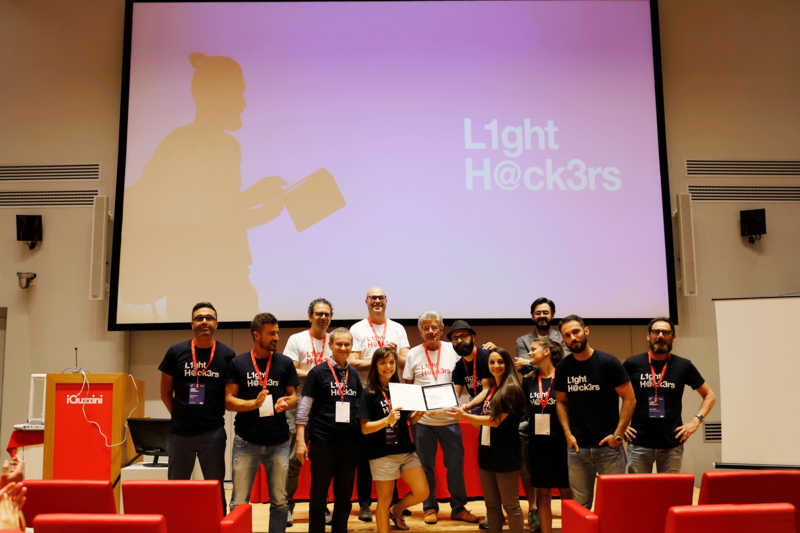 Mash3DFactory wins with "Project Your Life"
Recanati (MC), July 12, 2017 - Mash3DFactory start-up from Rome won LightHackers, the first Hackathon of the lighting industry in Italy, organised by iGuzzini in collaboration with EY. The initiative - part of a program aimed at contributing to technological advances in the field of lighting- has proved to be a real innovation hotbed. Innovation and potential impact on business and user/customer experience are the elements that have allowed Mash3DFactory to stand out. The project presented by the roman start-up enhances the role of light and offers an encircling experience of iGuzzini's lighting solutions to customers. Through the digitalisation of iGuzzini’s Light Experience onto a web platform and the creation of a sort of bridge towards augmented reality, the designers are able to replicate the lighting effects of the different iGuzzini solutions in 3D environments. This results in a much more effective impact in comparison to projects realised in 2D. FunnyGain, from San Marino won 2nd place with the idea of ​​Personal Assistant - a multilingual chatbot that can create a real digital interaction with users to provide information on iGuzzini products and services. The solution provides an upgraded level of response by putting a physical person at disposal when the automatic chat is unable to meet the customer's request. The startup Home Suite Home from Pescara has developed iSenseArte - a project aimed at enhancing security aspects for art and culture, especially within museums. The project involves the integration of smart sensors into iGuzzini lighting devices to accurately detect potentially dangerous predefined events such as an accelerated pace or the presence of figures in the dark. "Innovation is a milestone for our company and we have always believed and invested in young talents. We created the lighting industry in Italy more than forty years ago and since then we have been recognised as an example of innovation at 360°. 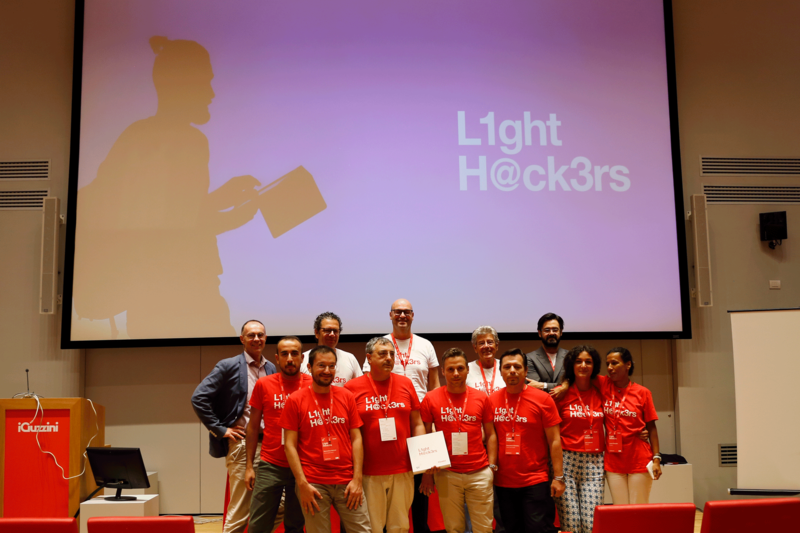 LightHackers, which opened the doors of Open Innovation in a Hackathon for the first time in our industry, is part of a broad program aimed at continuous innovation and contributing to technological advances in the lighting industry" said Adolfo Guzzini, President of iGuzzini Illuminazione. 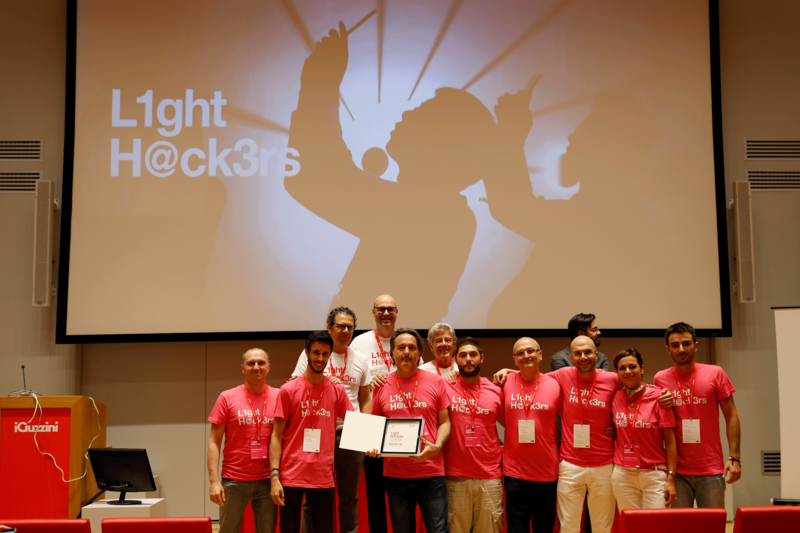 "All the eight start-ups featured brilliant ideas, innovative “pills” to integrate iGuzzini’s Customer/User Experience so as it was not easy to proclaim a winner. For this reason, personally and on the behalf of iGuzzini, I congratulate not only the top three startups, but also all the other five, ideally ex-aequo, who have been busy for the past two days, and displaying enthusiasm and team spirit. With some of them, it would be, in any case, interesting to deepen the relationship" concluded Adolfo Guzzini. "Method, Innovation, and Contamination are the keywords that featured the first iGuzzini LightHackers. 23 innovative companies from a national scale and over 60 people met at the 48h competition to build operational prototypes that are visible and fully functioning thanks to the genius but also the method displayed" said Marco Grieco, Med Advisory CPR Industry EY Leader. "The selected excellencies challenged each other to further innovate iGuzzini's offer and support the company in the progressive improvement of customer experience. The crucial element was contamination: this event was a demonstration that collaboration among realities allow to achieve brilliant and implementable solutions in the short term by bringing together the genius of different extractions. Now the challenge is to move forward and carry on along this important innovative path". The idea ​​"Project your Life" by Mash3DFactory ranked 1st, and will be implemented by iGuzzini Illuminazione. FunnyGain and Home Suite Home, ranked respectively 2nd and 3rd, and will receive a cash prize of € 5,000 and € 2,000. In addition, all the three start-ups will be eligible for the EY award "Entrepreneur of the Year - StartUp Section".